Great, simple, oldish hotel. Best location ever! You walk right outside and your at the beach. Everything is walking distance. Fun to explore the city, old town and museum. Again, my room was located way in the back on the 2nd floor. Seems to be a trend I’m experiencing. Not sure if it has to do with paying cheaper rates through booking dot com. Great location. Right in front of the beach. Sea view from the balcony. You can't beat the location. 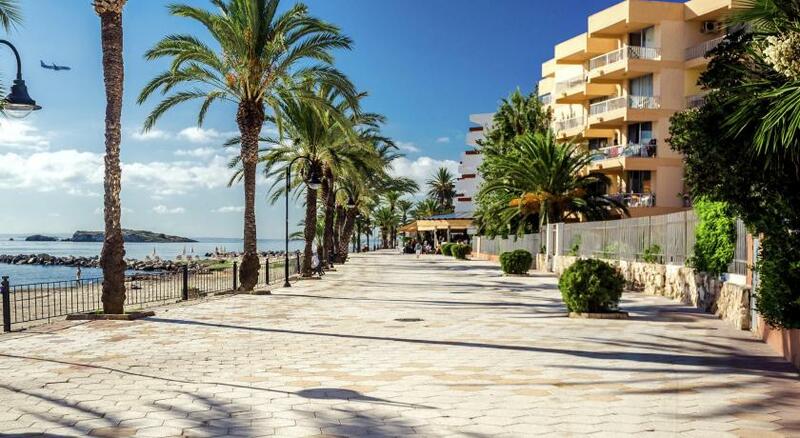 Easily accessible to food, car rental, major clubs, and the beach is right in front of the property. Amazing location to catch the sunset! Friendly staff helped print out boarding pass easily via Wi-Fi. Easy to get to and 5 steps to beach front. Good power shower. The staff were friendly and helpful. They remembered me very quickly. The terrace overlooking the beach is very nice. Great location, right on the beach. Bus (public transport) from the airport drops you off right out the front. Lots of bars and restaurants around. Hotel Figueretes This rating is a reflection of how the property compares to the industry standard when it comes to price, facilities and services available. It's based on a self-evaluation by the property. Use this rating to help choose your stay! 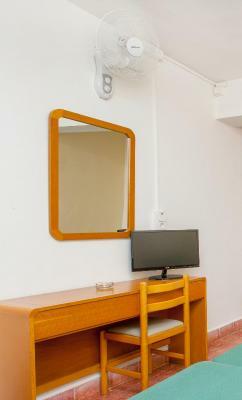 The rooms at Hotel Figueretes are equipped with a TV, a fan and private bathroom. 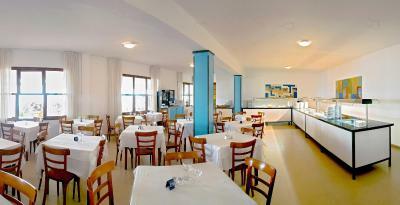 They feature views of the Mediterranean Sea or the beautiful gardens of the hotel. Some also include a balcony. 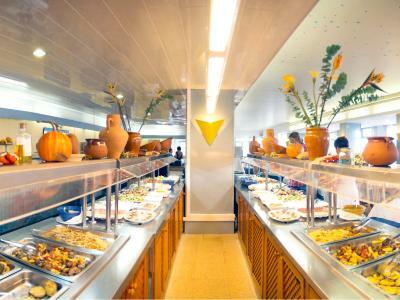 A buffet breakfast is served in the hotel’s dining room. Dinner is served at Hotel Ibiza, 2 minutes' walk away. 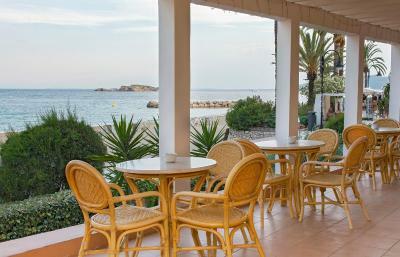 Guests have access to the outdoor swimming pool of Apartamento Mar y Playa, 2 minutes' walk from Hotel Figueretes. A bus stop is just 150 feet from Figueretes Hotel and you can organize bicycle or car rental at the reception. Ibiza Airport is 4.3 mi away. 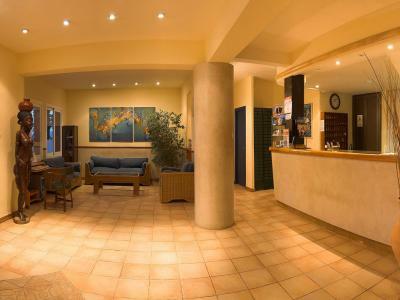 When would you like to stay at Hotel Figueretes? 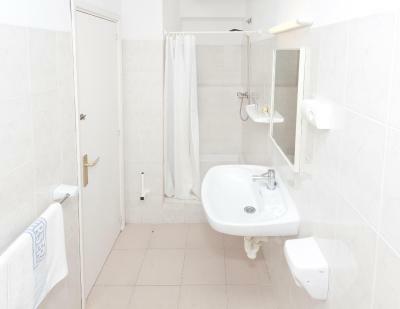 This spacious room has a TV and a private bathroom. Some rooms have a balcony. House Rules Hotel Figueretes takes special requests – add in the next step! 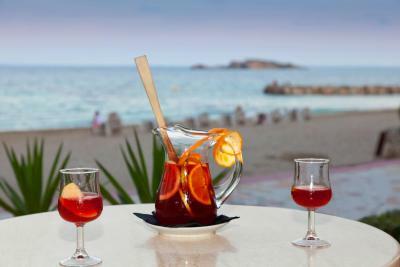 Hotel Figueretes accepts these cards and reserves the right to temporarily hold an amount prior to arrival. 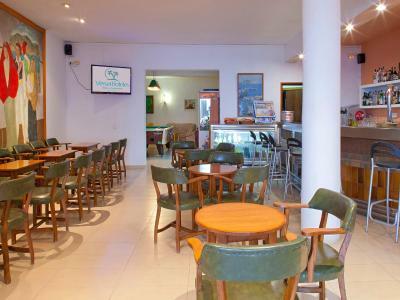 Please note, the restaurant is located at Hotel Ibiza, 2 minutes' walk from Hotel Figueretes. A great little hotel coming back next year! Saw little cockroach in the room...smelled a bit old and funky when we got in. Pretty basic facilities, dark room lighting. Only 2 plugs near bathroom that is a bit annoying when charging phones. When someone robbed our room from personal staff they make us feel like it was our fault. Hotel didn't take any responsibility for this action even that there was no other explanation like someone got a key :( Really disappointed! Room located on the end of long hallway. 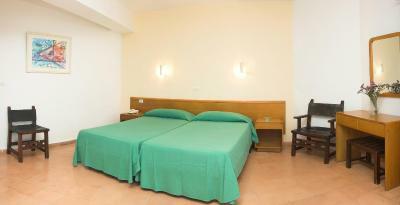 Other than that great location, simple and clean hotel. It was very basic, more like a hostel style accommodation rather than a hotel. The only free wifi is in the lobby and the phone in the rooms don’t work. No kettle or fridge in the room. No lift in the building. The room was very budget. We paid over what I would normally pay for this type of room. They were large rooms but very old furniture. However they were clean. We paid 150 in peak season. the room need a makeover but if you are just there to sleep and clean then they are perfectly fine.